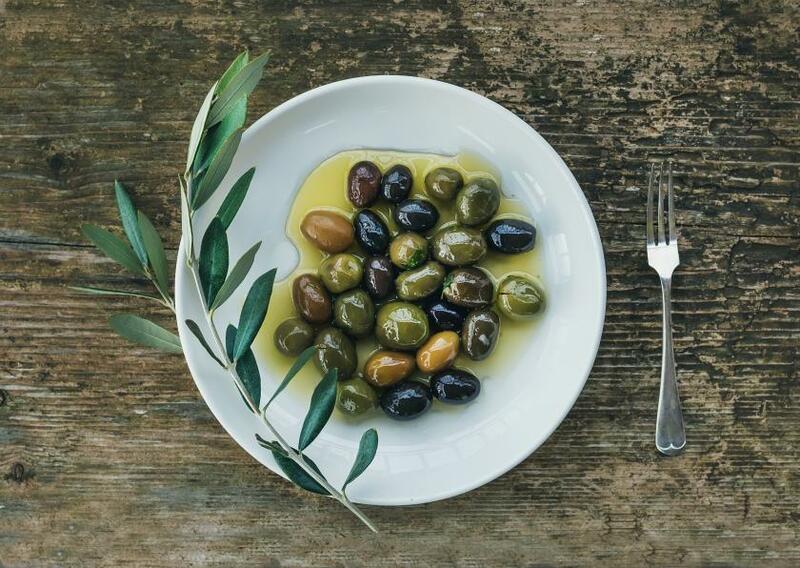 The Mediterranean diet has been realized as the ideal diet for heart health and long life, but it wasn’t until now that researchers calculated just how much of a heart disease risk dropper it really is. By taking a closer look at the diet’s origins from a small, largely unrecognized island, nutritionists, doctors, and parents alike may have a better shot at eating their way to a healthier life. Greek researchers from the Harokopio University will present a new study at the American College of Cardiology’s 64th Annual Scientific Session in San Diego, which tracked 10 years of research comparing adults’ diets. Researchers studied the daily dietary habits of 2,500 Greek adults between the ages 18 and 89 for 10 years. When the study ended in 2012, researchers reviewed each participant’s in-depth survey on their medical records, lifestyle, and diet, and compared it to the surveys they administered at the start of the study and five years into it. They found the closer a person followed the Mediterranean diet, the less likely they were to develop heart disease in that decade. In fact, if they had a steady intake of at least 11 out of the 55 Mediterranean options listed in the study, they were 47 percent less likely to develop heart disease. It’s not new information that a diet rich in fruits, veggies, whole grains, fish, healthy fats, and nuts is going to be the surest road to heart health. Cardiologists have touted the benefits for years, but it’s been slow moving to deliver the diet into fast-food addicted Americans’ mouths. In Greece, one out of every three adults and children are either overweight or obese. Sound familiar? That’s because one out of every three children in America are also either overweight or obese. The epidemic is spread throughout cross continentally, but why is the mother country of the heart-healthiest diet in the world comparatively unhealthy to the public's perception? Only four percent of 10 to 12-year-old Greek children are adhering to the Mediterranean diet, which means 96 percent are growing up on an unhealthy diet, according to Mediterranean Diet Nutritionist Elena Paravantes, who is also the president of the American Overseas Dietetic Association. The typical Greek eats almost as poorly as the average American does; however, they aren’t known for their poor diets like the U.S. Greeks can’t even take complete responsibility for the Mediterranean diet, which is actually based off of Cretan men from the 1960s. It quickly became generalized as the token “Mediterranean diet” because of its location, and then it became overshadowed by its mother country Greece. Crete is one of the Greek islands in the Mediterranean Sea, and its people have historically only eaten what their land has produced, which is lots of fruits, vegetables, whole grains, and legumes. The small amount of protein they do eat is cooked in olive oil and served with greens and whole grains. They avoid creams, added salts, and sugars, making this small island a nutritionist’s perfect example of diet and lifestyle. Cretan islanders have the lowest death rate across the board — from heart disease to cancer. The diet includes approximately three times more bread than the average American eats, but it’s strictly whole grain and full of fiber. So in truth, people have been looking at Greece as a whole, when they should really be narrowing in on this one island for the answers to set an example for the rest of the world to follow. Source: Georgousopoulou E and Panagiotakos DB. Adherence to Mediterranean is the Most Important Protector Against the Development of Fatal and Non-Fatal Cardiovascular Event: 10-Year Follow-up (2002-12) Of the Attica Study. American College of Cardiology’s 64th Annual Scientific Session. 2015.